John Hintz focuses his practice on health care business transactions, including forming and administering clinically integrated networks, negotiating managed care contracts (including risk and other value-based reimbursement arrangements), and establishing and maintaining clients’ legal compliance (including antitrust, insurance, and data sharing). John’s experience includes representation of various health care entities, including health care providers (vertically-integrated systems, clinically integrated networks, accountable care organizations, physician-hospital organizations, hospitals and hospital systems, large and small physician groups, individual practice associations, ancillary providers, etc. ), payers (indemnity insurers, HMOs, self-funded employers, reinsurers, Taft-Hartley Trust Funds, etc. ), third-party administrators, PPOs, billers, and others. Lead counsel on hundreds of managed care contract negotiations on behalf of various forms of third party payers, including individual transactions controlling revenues in excess of $250,000,000 annually. 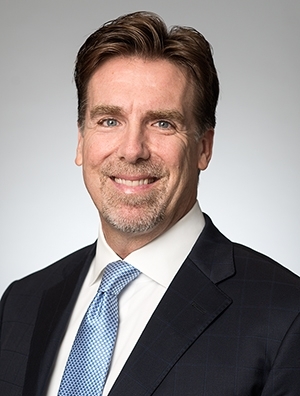 John worked as a clinical physiologist before becoming an attorney, and is an active Adjunct Professor of Law at Marquette University Law School (teaching courses in Managed Health Care since 2002). He is a member of the State Bar of Wisconsin, the Arizona Bar Association, and the American Health Lawyers Association. John has also been recognized by Nightingale’s Healthcare News as one of the country’s ten Outstanding Physician Practice Lawyers. John began his legal career with Blue Cross & Blue Shield United of Wisconsin, focusing on health care litigation, insurance compliance, and corporate business transactions. He then transitioned into an executive role, assuming responsibility for development, contractual negotiation, and administration of provider networks for Blue Cross and its subsidiaries, before moving into private practice. John’s charitable work has included long-term service on the Board of Directors of the Gerald L. Ignace Indian Health Center, Inc., a Federally Qualified Health Center dedicated to improving the health, peace, and welfare of greater Milwaukee’s urban American Indian community.